Isn’t it fun to dream about who your kid will grow up to be? You as a parent likely have visions of their many future accomplishments — excelling as an engineer, becoming the first female president, you name it. But how can you help them get there? Well, one solid stepping-stone to success is education. And although college isn’t for everyone, if you and your kid are aiming in that direction, you may not quite be prepared for the cold, hard (and expensive) truth: College requires planning. Like, way in advance. And not just a vague plan to keep up grades; we’re talking some serious financial resources too. If you aim to cover some or all of the expense of college, it’s important to have a manageable strategy in place. We spoke with experts to get some smart solutions for setting those kids (and your bank account) up for college success. And perhaps even more crucial, we rounded up the most common mistakes many parents and caregivers make when saving for postsecondary education. 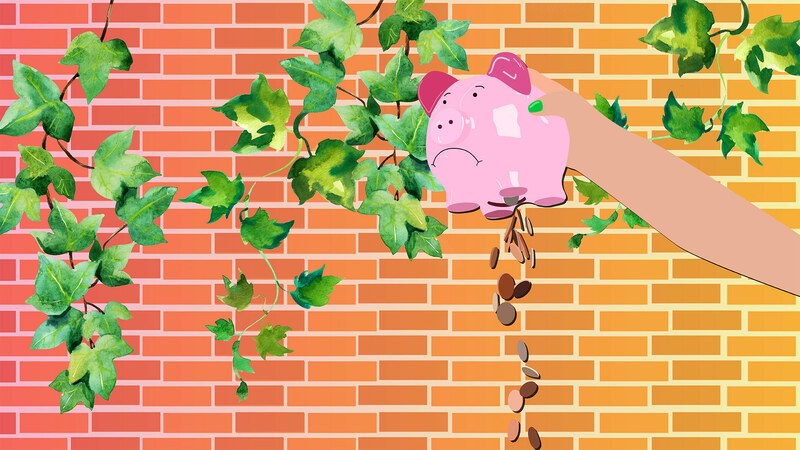 Since you’re definitely not the only parent to try to save up for your kid’s school, you’ve likely had plenty of chats with others about the best methods. But while there are countless ways to go about this process, Dr. Robert Skiff Jr., an admissions and financial aid consultant at Hollenbeck College, says the best option is the 529 plan. This tactic is exempt from federal and state taxes, so it allows you to use the fund as a family educational account with multiple beneficiaries depending on how many kids you have. “There is no limit to how much can be placed in a 529 plan, so it can serve as a multigenerational educational fund if handled correctly. There are all kinds of financial institutions that manage these types of accounts,” he explains. Industrial-organizational psychology practitioner Dr. Amy Cooper Hakim reminds parents: You can get a loan for school, but not one for retirement. While prioritizing the needs of children is the knee-jerk reaction of most parents, if you have to choose between investing in your retirement or saving for college, it’s more important to put money toward your golden years. Though it might seem like a selfish move, it’s one that could eventually relieve additional stress on your children, who may end up needing to care for you as you age. “It’s actually a tremendously generous gift to our children. When we sacrifice our retirement or our emergency fund, we can put our family in precarious financial situations that our children will eventually inherit or have to take responsibility for. There are many financing options for college. There aren’t very many options for financing our retirements or an emergency expense,” explains personal finance and money coach Ashley Feinstein Gerstley. Skiff says there are immeasurable benefits to beginning your college-savings action plan when those kiddos are still in diapers. “The earlier you start saving for college, the easier it is. College is costly, and by using the power of time and compounded interest, a substantial nest egg can be created. Putting even $100 a month in a 529 plan when your child starts elementary school helps dramatically,” he explains. Consider the bills that arrive in your inbox or mailbox every month: internet, cable, electricity, water, Netflix, Hulu… the list goes on. Hakim says it’s essential for parents to treat the goal of saving for college like any other expense that automatically comes out of your paycheck. Even a small monthly contribution increases the benefits of compound interest in a savings account, which matures with money and time. Late at night when the whole house is asleep, are you crunching numbers and stressing yourself out over every last dollar? Don’t get caught up in the chaos. If you can afford it (and after all, your time is money, so perhaps you can), utilize the expertise of someone who can navigate the jargon for you. Skiff says far too many parents attempt to plan out the process on their own instead of using a college and financial aid consultant who can take care of the details, answer questions and steer you in the right direction. A consultant can also help you determine whether college is even necessary. “Not all career paths require an undergraduate degree costing over $100,000,” Skiff explains. “A private college admissions consultant and your financial planner can work together to ensure that you make the best decision in this area, when sometimes, public and private school college counselors lack the expertise to guide you through this process,” he explains. Bottom line? Get started now — and don’t be afraid to ask for help. Saving for your kid’s future is definitely doable, but it requires practice, practice and above all, planning.